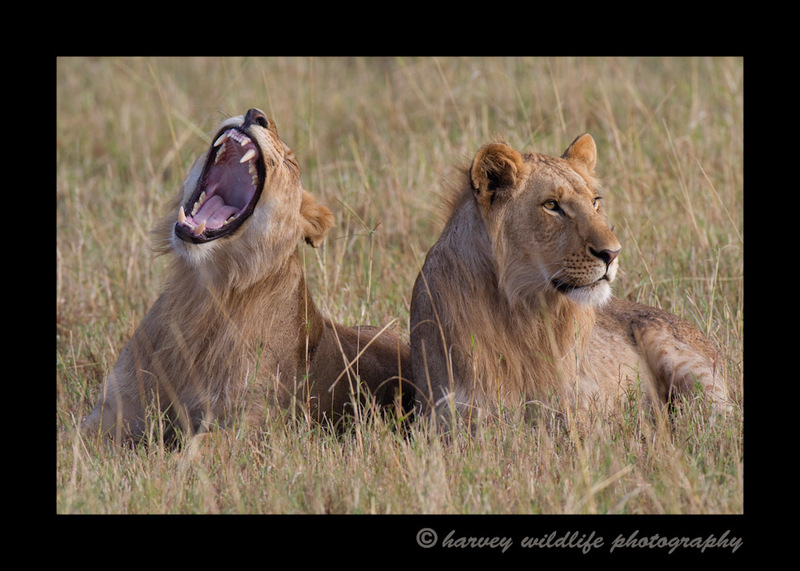 Lion Brothers Yawn: Pictures of lions in South Africa, Tanzania and Masai Mara. These males are about four years old. They are kind of lion purgatory. They were kicked out of the Marsh pride, so they are too old for their old pride and yet too young to take over a pride of their own.